Peugeot have announced that they will be officially unveiling the Peugeot 4008 2012 at the Geneva Motor Show that will be held in March. Peugeot is apparently planning to launch the 4008 in continents other than Europe as 70 percent of the sales are expected from these areas. 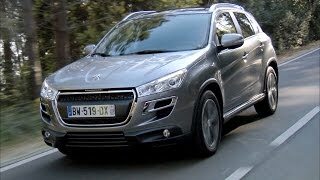 It should be noted that the market for Sports Utility Vehicles in Europe and Russia has steadily grown since 2005 which might be the reason behind Peugeot’s move to launch the 4008 in Russia first. Peugeot is offering the 4008 SUV with choice of 4 engine units out of which two are petrol and other two are diesel units. For customers who want a petrol engine in their car they can either opt for the 2.0 liter displacement engine that can generate a 150 Horsepower or the 1.6 liter displacement engine that gives a lesser power output of 115 HP. In both the petrol models, the power will be transmitted to the wheels by a standard 5-speed manual gearbox or the optional Continuously Variable transmission (CVT). The diesel engine models give you the option to choose from the 1.8 liter HDi engine that can generate 150 HP and 300 N-m Torque or 1.6 liter HDi engine that generates 115 HP and 270 Nm of Torque. A 6-speed manual transmission is offered with the diesel variants. Peugeot has also incorporated the START/STOP system in all the engine units to improve the fuel efficiency. The 4008 SUV provides a very good mileage and has the best environmental performance against other cars in the same segment. It consumes only 4.6 liter of fuel per 100 kilometers in 4X2 mode and 4.9 liters of fuel per 100 kilometers in 4X4 mode.The 2013 4008 model is the perfect all-terrain SUV that delivers wonderful performance without compromising on the safety aspect. 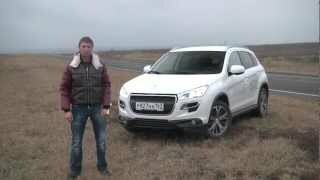 Peugeot have already revealed that the 4008 will be launched first in Russia and Ukraine in April. Other areas like Europe, Argentina, New Zealand, Australia and China will have to wait till May for this all-terrain vehicle. In line with Peugeot’s range enhancement and development strategy, the 4008 will be launched initially outside Europe, in the market which will represent 70% of its sales. With its distinctive, elegant appearance and its 4X4, SUV features, the 4008 is a modern response to the needs of all-terrain vehicle customers, in a very prominent market segment. International launch At the heart of a very dynamic world market in the C segment of all-terrain SUVs, the 4008 will be distributed to more than 50 countries. Presented as a world premiere at the 2012 Geneva Motor Show, the 4008 will go on sale initially outside Europe starting in April. First in Russia and the Ukraine, then among other places in China, Australia, New Zealand, Argentina and in Europe from May. In China and in Western Europe the market share of SUVs has reached 10%, and covers a variety of expectations. In Europe, this market share of the SUVs in segments C and D is increasing to the detriment of the SUVs of the E segment. In China, it is the attraction of the vehicle’s status that is sought after. In Europe, it fulfils the desire for distinctive multipurpose vehicles, compact and with an environmental impact comparable to that of a conventional saloon. With the 4008, Peugeot is continuing its international offensive to win new customers by offering a young, modern and upmarket range which is the perfect response to the changes in these markets. Firmly rooted in the world of the SUV, the 4008 combines strength, power and driving safety in all circumstances. Thanks to its four-wheel drive, which is always available, it gives a feeling of freedom and greater peace of mind when driving. Comfortable, compact and manoeuvrable, the 4008 SUV is also perfectly suited to the urban environment. A combination of temperament, elegance and spontaneity, the 4008 emits an attractive, driving energy able to draw together a wide target customer base. With its unique style, strong and distinctive, its handling qualities, its versatility of use and its equipment, the 4008 is the reflection of a modern and upmarket vision of the all-terrain vehicle which will have the ability to win over the new sensibilities of 4X4 SUV customers. A complete range of all-terrain vehicles With this new 4X4 SUV, Peugeot completes its range of vehicles suited to the various expectations of all-terrain customers. With its strong personality, for international destinations, the 4008 is aimed both at customers who already own an all-terrain vehicle and at those looking for an alternative to saloons or MPVs, a vehicle synonymous with leisure and driving pleasure. In Europe, it is targeted more specifically at customers who appreciate a strong and dynamic ability, with dimensions suited to multipurpose use and efficient fuel consumption. In addition to the 4007, but also the 3008 and its recent HYbrid4 version, the 4008 fulfils the expectations of the different markets showing strong growth in the compact SUV segment. Innovative interpretation of the compact SUV The strength of the stylistic design of the 4008 lies in the combination of dynamism and aesthetics. Its proportions and its lines hollowed out as close as possible to the mechanics suggest its dynamic qualities as a vehicle conceived and dimensioned for the road and action. Its structured and pure style blending sportiness and neat aesthetics gives it a positive energy, upmarket and modern, without arrogance. A strong personality, obviously a Peugeot! The Peugeot stylists wanted to give the 4008, born out of the PSA Group & Mitsubishi partnership, a strong personality firmly rooted in the world of the Marque. A successful gamble, you see at a glance the originality of its style and the new stylistic codes of the marque which are judiciously adapted, like the floating grille and the feline design of the lamp units with visual signature: at the front, a line of LED daylight running lamps that complement the headlamps and three red claws sculpted rear lamps. The off-road character has been emphasised by adopting a vertical design of grille, the inclusion of body sill protectors and prominent wheel arch protection trims, to accommodate large wheels enhanced by the sophisticated design of the wheel rims. The almost-horizontal bonnet grooves and the style line – which extends to the rear wing where it descends again crossing the lamp – are a distinctive feature and appear to hollow out along the body side, accentuating the strong and dynamic aspect of the 4008. The work carried out by the Peugeot Design Style team, down to the smallest detail, gives the 4008 a high class elegance in line with its positioning. The exterior is, among other things, set off with chromed components, one surrounding the floating grille, two others surrounding the side air intakes and a bead adorning the tailgate. The interior ambiance is enhanced by the choice of materials, like the soft texture fascia, to the instrument panel visor and the lacquered black decoration of the centre console. The instrument panel, back-lit both day and night, incorporates round and deep counters, which impress a dynamic style and make the information easier to read. It offers a multifunction screen, amber or colour depending on the level of finish. The steering wheel is padded or leather trimmed and permits control of the audio functions, cruise control and Bluetooth hands-free kit. Its features, in particular the roadholding, and its equipment – like the Open & Go system, 18” alloy wheels, a touch screen navigation system and a reversin g camera … – are all present in this modern and high class all-terrain vehicle. Optimised structural performance The platform of the 4008, taken in part from the 4007, has been reduced in length by shorter front and rear overhangs (- 30 cm in length). Its long wheelbase (2.67 m) and its wide tracks (Front: 1.545 m and Rear: 1.540 m) have been retained to guarantee good occupant space in the front and rear, as well as a generous boot volume of 416 dm3 VDA 210 with spare wheel and up to 442 dm3 with puncture repair kit. it a vehicle suitable for everyday use, including in town, and for leisure journeys or family holidays. - the Lock four-wheel drive locking mode should be used in conditions of reduced grip, the transmission to the 4 driving wheels becomes permanent with even greater distribution of torque to the rear wheels than in 4WD mode. This is particularly the case at low speed when 50% more torque, with a maximum of 82%, will be distributed to the rear compared with the automatic 4WD mode. expectations of the different markets. So, the 4008 benefits from power trains combining modernity, performance, pleasure and protection of the environment: petrol and diesel engines, complying with Euro 5 or Euro 4 standards, 5 and 6 speed manual or automated (CVT) gearboxes with steering wheel paddles. - 2.0 l 113 kW (150 hp) 198 Nm, 5-speed manual or CVT. - 1.8 l HDi PEF 110 kW (150 hp) 300 Nm, 6-speed manual. 119 g/km of CO2 in 4X2 mode and 129 g/km in 4X4 mode with the HDi 115 hp engine and from 135 g/km with the 1.6 l petrol engine, the 4008 is economical to run, particularly given its low consumption from 4.6 l/100 km in 4X2 mode and 4.9 l/100 km in 4X4 mode, and attractive as regards company car tax. So, the 4008 merits its status as a modern SUV and its place in the heart of our cities, just as much as a conventional saloon. - as regards the lighting, equipment which is standard or optional according to country and level of finish: automatic switching on of the lights, headlamp wash, foglamps as standard from the Active level, Xenon headlamps with headlamp wash and automatic height adjustment. 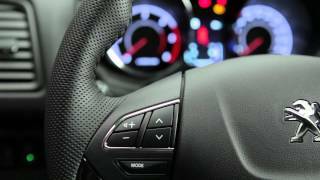 The 4008 is also designed to provide the highest level of secondary safety. Its deformable body structure with reinforced waist line provides a high level of energy absorption in the event of a front, rear or side impact. The 4008 is fitted with effective restraining devices: 2 front airbags, 1 steering column airbag for the driver, 2 front side airbags and 2 curtain airbags, 5 three-point seat belts and 2 Isofix locations with 3 anchorage points on the 2 rear side seats. The front centre console incorporates 2 cup holders, a storage compartment and a tissue dispenser and houses USB, jack and 12 V connections. A further 12 V socket is available in the boot. The glove compartment, lit and cooled with the automatic air conditioning, offers a large storage volume as well as a pen holder and a map holder. The storage compartments located in the door trim pads can hold 1.5 l bottles. For the rear seats, the 2 cup holders are located under the central armrest and the front seat backs incorporate storage pockets and nets. The 4008 offers mono-zone manual or automatic air conditioning with pollen and dust filter. With the automatic air conditioning the glove compartment is also cooled. The driver and passenger seats can be adjusted electrically and heated to 2 levels. The panoramic roof combined with the roof bars, available as an option, is fitted with a one-touch electric shutter to maintain a comfortable temperature. The dark tinted rear windows contribute to the dynamism and modernity of the 4008 while improving the visual comfort of the occupants and control of the temperature. level of finish with 4 or 6 speakers (including 2 tweeters). It has 4 musical ambiance settings (Pop, Rock, Talk and Easy) and 3 types of acoustic field (Stage, Hall and Surround), as well as a frequency and speaker dephasing adjustment equaliser. For well informed music lovers, the top-of-the-range Hi-fi option consists of a Rockford Fosgate pack which reproduces the high fidelity sound perfectly, has speed-sensitive volume control and offers a choice of 5 musical ambiances. It is equipped with a 710 Watts 8-channel amplifier and 9 speakers spread throughout the passenger compartment, including a bass box in the boot. A 6 CD changer located in the centre console is available as an option; with the navigation it is replaced by a 30 Gigabyte hard disc one third of which is reserved for the music server. So, the Juke Box function allows the recording of up to 2,500 tracks in MP3/WMA format. The connectivity pack, available as standard or as an option according to country, includes a jack socket and a USB socket in the central armrest, as well as a Bluetooth interface. It allows the occupants to connect their mobile telephone or multimedia players and use them hands-free by voice control or via the buttons on the dashboard and on the multifunction steering wheel. Colour navigation equipped with a 7” 2D touch screen is offered as an option. obstacle detectors with 8 sensors. The reversing camera linked with the navigation option is activated automatically when reverse gear is engaged and displays the image on the navigation screen in colour with indication of the limit of the rear bumper and of the general direction of the vehicle. The Open & Go System, available according to the level of finish chosen, replaces the mechanical key with the magic of electronic recognition. By keeping the “electronic key” in your pocket (or your handbag) you can enter your vehicle, start, then stop simply by pressing the “Start Stop Engine” button. On exiting the vehicle, a single press of the button on a front door handle or the boot is all it takes to lock the vehicle. Inadvertently leaving the electronic key inside the vehicle prevents locking. To provide an even better response to the desires and needs of customers, private or professional, a wide range of personalisation, comfort, protection and other accessories has been developed specifically for the 4008. Thanks to their upmarket and enhancing material, the door handle and mirror shells reinforce the high class elegance and bring a touch of refinement. - Brushed Aluminium kit for a touch of sportiness. The Wi-fi on Board unit allows a wireless Internet connection to be shared in the vehicle. An additional 230 V/USB socket permits charging of various electrical devices (laptops, MP3 players, iPhones…). A pack of 2 DVD players with 18 cm colour screen in 16/9 widescreen format will entertain children or others during journeys. A multimedia support which is secured on the front head restraint rods permits the installation of screens up to 13” such as DVD players, Netbooks, mini-PCs or iPads. A whole range of transportation solutions has been developed for the 4008. This comprehensive range, consisting of an RDSO towbar, roof bars, bicycle carrier, ski carrier, roof boxes, allows you to take full advantage of the pleasure offered by the 4008. A boot sill with brushed aluminium finish and door sills with aluminium finish, with 3D effect and “Peugeot” logo, elegantly protect the boot loading area and the entrances to the vehicle. Velour mats with the “4008” logo for the floor and a needle loom boot protection mat or thermoformed boot tray shaped to fit the boot perfectly provide well-matched and optimum protection to keep the carpets in their original condition. A transparent bumper protection cappings kit, designed to follow the lines of the 4008, provides discreet and effective protection against scratches and frequent knocks in town. They can be added to with side protection cappings which also protect the bodywork against knocks and reinforce the off-road look of the 4008. Further accessories are waiting to be discovered in the Peugeot Network.